Are you sewing along? 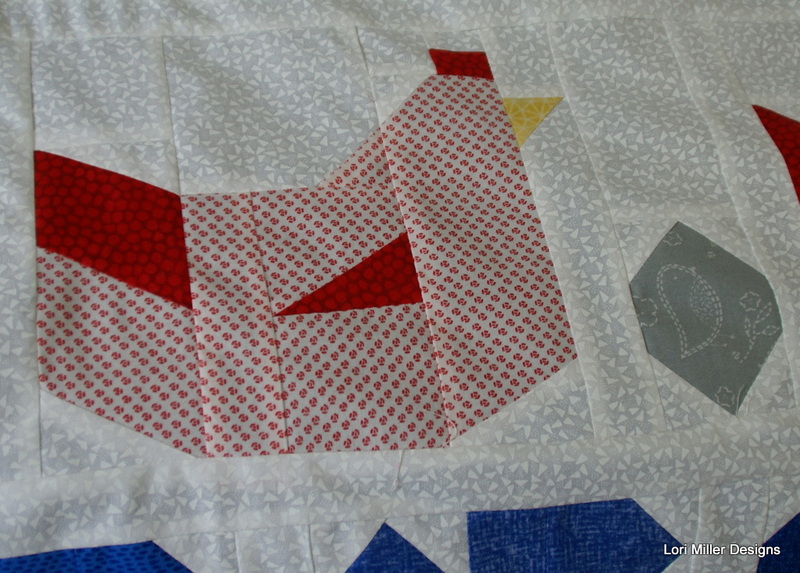 Grandma Town Block of the Month continues with this cute little chicken and egg. On the farm, Grandma raised chickens for the eggs and for Sunday dinner. There was a large hen house behind the house. I never helped gather eggs, maybe grandma thought I would break them. We did get to throw the food scraps and potato peelings over the fence for them and sometimes some cracked corn. There were all kinds of chickens including little banny hens that ran around everywhere. 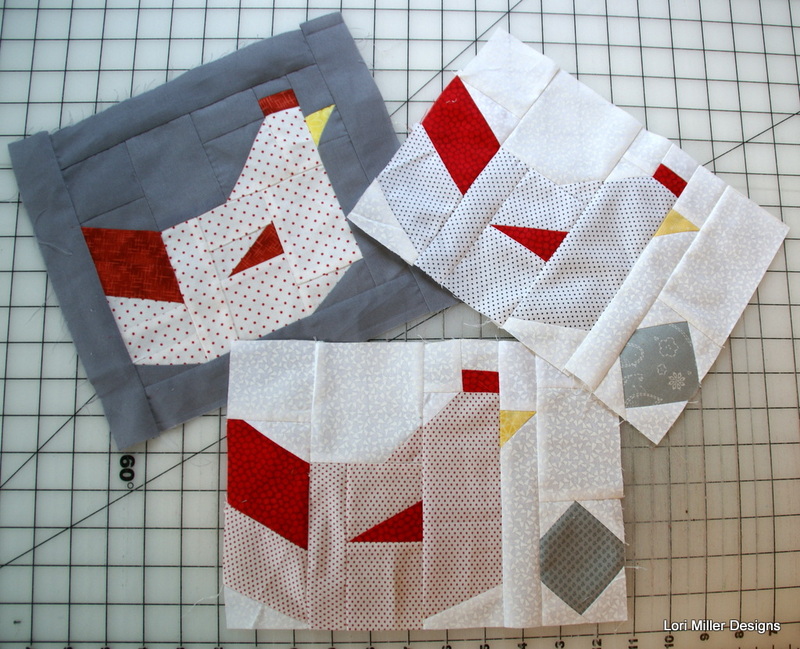 The Chicken blocks finish at 8” x 7”. The Egg blocks finish at 3” x 7”. 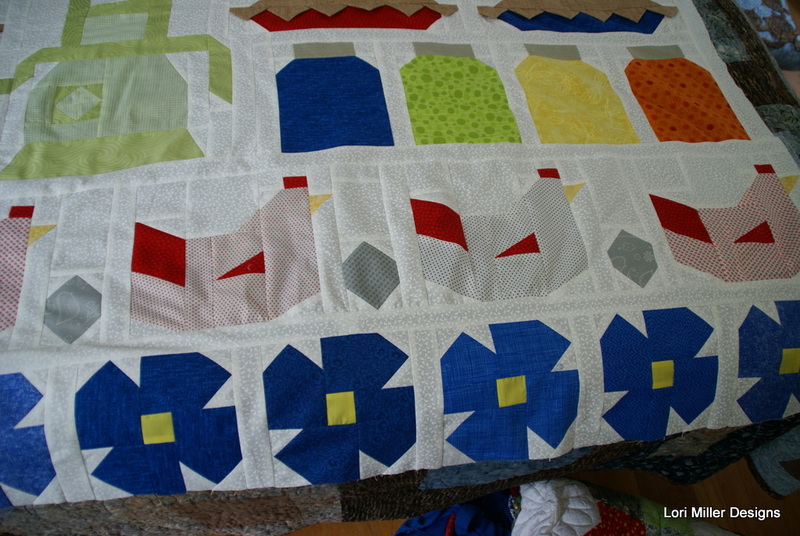 You will need 6 chicken block and 5 egg blocks for the row of the quilt. Grandma’s favorite chicken was a big red hen she named Molly. Molly laid large colored eggs, they were sort of grayish green color. Grandma also made delicious fried chicken, but the best was a scalloped chicken that she made which was kind of like chicken and stuffing. It was crispy on the top and tasty all the way through. I know my grandparents raised their own chickens, but luckily I did not ever have to experience how they got to the table. 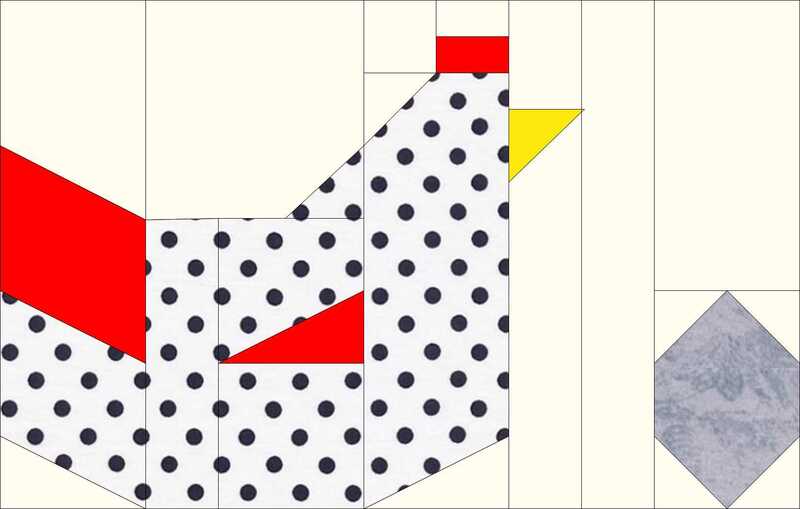 This chicken pattern reminds me of Molly and her jumbo eggs. Are you sewing along? If you are, post it on Instagram and tag me @lorimillerdesigns and #GrandmaTownBOM so I can see what lovely things you are stitching up. 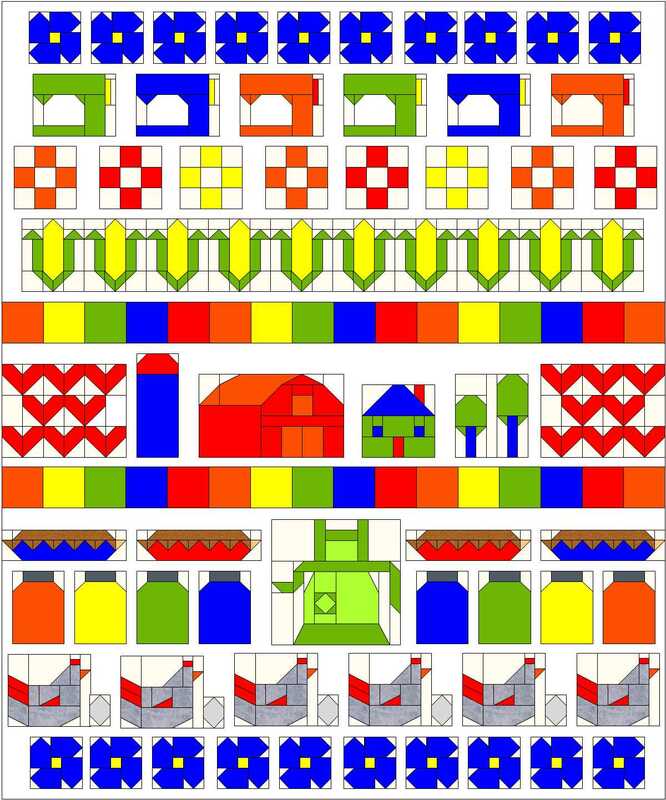 A comprehensive pattern and directions for the Chicken and Egg block along with the whole BOM is currently in development.